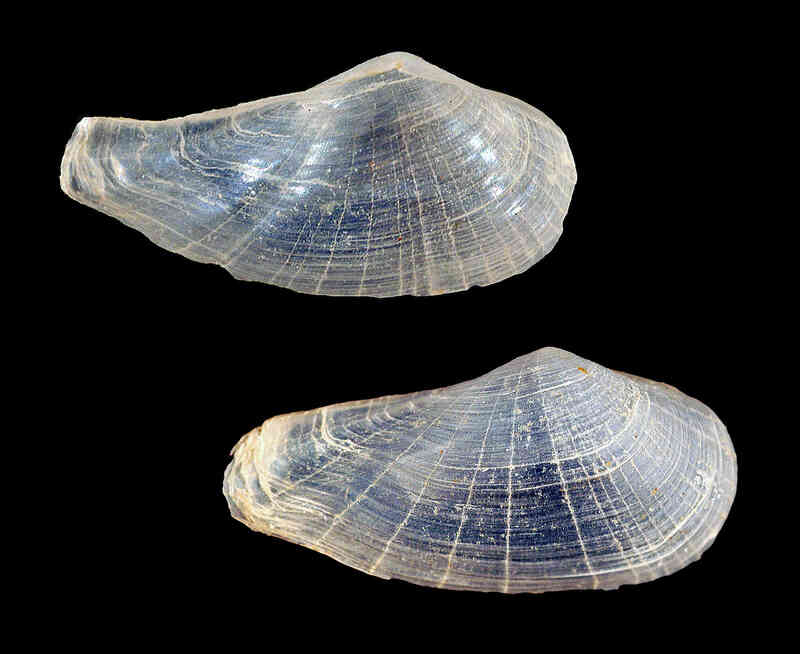 Shell size to 15 mm; shell elongate, inequivalve, with posterior region prolonged and narrow. Postero-dorsal margin concave. Umbo sub-central. Sculpture of fine, wide separated concentric lines and radial ridges. Periostracum thin, present mostly as expansions of lines and ridges. The young attach by delicate byssus to broken shells or small pebbles. Lives in the mud or sandy-mud back bay substrates.